BioTrust CraveFix 96 Review - Does It Really Suppress Appetite? Cravings can ruin the efforts of any person trying to lose weight or maintain their current weight loss. Many people can’t ignore their cravings and give in every time they have one, which works directly against their weight loss efforts. Other people fight their food cravings until they can’t take it anymore and then binge on the food they want. Then, after they allow themselves to give into one craving, it becomes easier to make more excuses to give in to future cravings and eat too much unhealthy and high fight food. The solution would be to stop cravings altogether, or at the very least reduce them. And that’s why I’m writing this review of CraveFix 96 by BioTrust. BioTrust has created this new supplement that claims it can help reduce cravings. 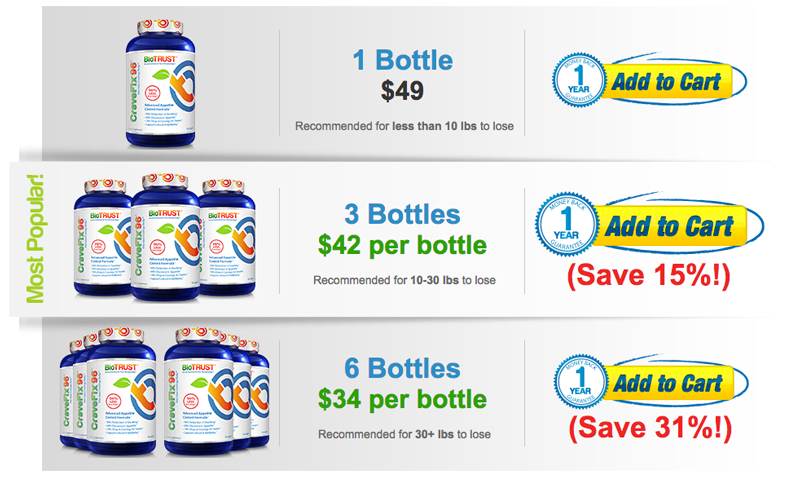 But, is their supplement actually worth taking? Does it really work? This is an all-natural supplement made up of proven ingredients to help you fight cravings, reduce hunger, and lose fat. You simply order how many bottles you would like to try and then you take 1 soft gel a day for as long as you like. Apparently the more you take the supplement, the more of a positive effect it will have on your body, so you don’t need to worry about it not working anymore or running out of juice for your craving control and fat loss efforts. As of this review, you will also get a free copy of an eBook titled ‘11 Flat Belly Foods That Crush Cravings‘ when you order the supplement. This should help you further deal with cravings, which can help you lose weight even quicker and keep it off. There are three main ingredients in CraveFix 96. They have been shown to be effective for fighting cravings, reducing hunger, and aiding with fat loss. In fact, according to BioTrust, these ingredients have been through a double-blind study which showed results of up to twelve-hundred percent more fat loss. 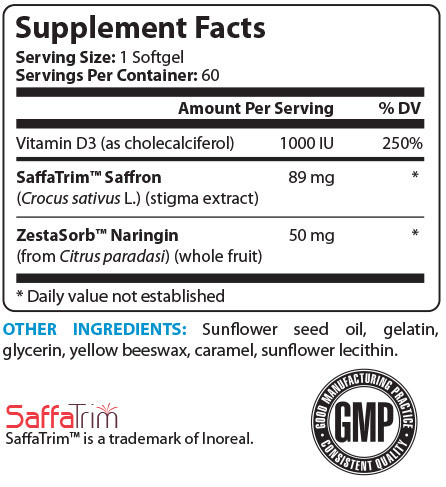 This is an extract of saffron that has been shown to boost the levels of serotonin. This can help you feel full and experience fewer cravings. A study done on SaffaTrim found that one-hundred percent of participants reduced their daily food intake and experienced a twelve-hundred percent fat loss compared to the participants not taking SaffaTrim. It’s also been shown to reduce the desire to snack, with a seventy-eight percent reduction in cravings for sweets. Moreover, it’s been found that the more you take SaffaTrim, the better the results. This ingredient can be found in citrus fruits. In high amounts, it can enhance insulin sensitivity, which can help you decreases the storage of fat on your body. This ingredient has also has been shown to increase the production of adiponectin, which is a hormone that helps regulate the metabolism. And, lastly, it helps to increase the absorption of the other two ingredients in CraveFix 96, which is very important to your weight loss efforts. A lack of vitamin D3 is common. In fact, according to one Prevention article, forty-two percent of U.S. adults are deficient in vitamin D and have opened themselves up to be more susceptible to cancer, dementia, Alzheimer’s disease, arthritis, pneumonia, heart disease, and premature death. What most people don’t know is that vitamin D is important for the maintenance of weight too. Research has shown that people who consume more vitamin D also have less belly fat, even compared to people who ate less food than them. Vitamin D has been shown to increase satisfaction by releasing more leptin, the hormone that helps send the message to your brain that you are full. 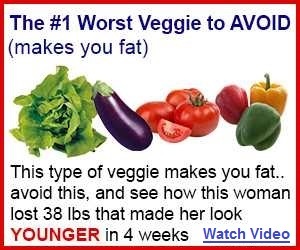 Moreover, it helps you store less fat. When you have low levels of vitamin D, the parathyroid and calcitriol hormones are affected negatively, turning your body into a hoarder of fat. And vitamin D also triggers fat loss in the belly thanks to the reduction of cortisol. Lastly, increasing the amount of vitamin D you take can help decrease the levels of ghrelin in your body, which is the hormone that promotes hunger. Click here to learn more about this supplement and how these ingredients are used. Verified as potent and pure through third-party testing. CraveFix 96 is created in a certified GMP facility. SaffaTrim has shown to reduce cravings for sweets. ZestaSorb has shown to help carbohydrates be used for energy rather than be stored as fat. Vitamin D is included, which has been shown to help fight fat loss but also provide many other important health benefits. Promises to help you control your appetite. Promises to help you reduce cravings. Promises to help you burn more fat. Can help to enhance insulin sensitivity. Scientifically created and backed by research to fight cravings. Free of stimulants and caffeine. Free of sugar, artificial sweetener, color, flavor, and preservatives. There’s gelatin and vitamin D3 in the capsules which makes this supplement unsuitable for vegetarians and vegans. You buy CraveFix 96 directly from BioTrust. Their shopping cart is 100% safe and secure. Your order should reach you with a week if you are in Canada or the US and within two weeks if you are international. However, you can get rush shipping at a cost. BioTrust says that you should see visible results within 30 days and experience even more profound results the longer you take CraveFix 96. But, if you are skeptical, there is a money back guarantee that should put your mind at ease. 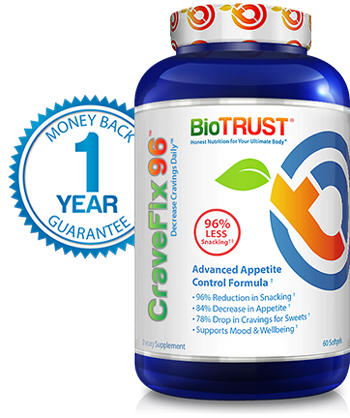 BioTrust has a 365-day money back guarantee for all of their products, including CraveFix 96. If you are not happy with the results, you are able to return the bottle – even if it is empty, and get your money back. That allows you to give their products a genuine try. Founded in 2012, BioTrust is one of the leading nutritional supplement companies online. They go above and beyond most other companies by developing their products with scientific research and testing and by ensuring that they include pure ingredients with levels potent enough to have the desired effect. All of their products are free from colors, preservatives, and sweeteners, and are all-natural. And, all products are reviewed by a fitness and scientific advisory board and are sent to third-party laboratories for quality assurance testing. Does CraveFix 96 Actually Work? 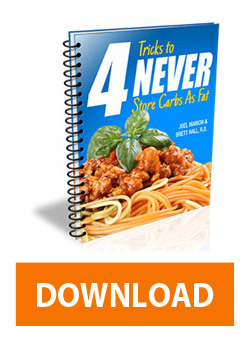 If you can stop your cravings for food you don’t really need, then you can lose weight. Most people can get a handle on portion control and eating healthier foods, including healthier versions of their favorite foods, but cravings are what send all those good intentions down the drain. If the desire to eat something is too strong, then it’s human nature to eventually stop the struggle and pain and just give in to the craving. After doing this CraveFix 96 review, I can honestly say that I’ve never seen anything like this product by BioTrust. The ingredients are backed up by some exciting studies and BioTrust is known for their effective products and ethical practices. All of that leads me to believe that CraveFix 96 will likely work for you. The good news is you can try it risk-free with their money back guarantee. So, order as many bottles as you think you will need on your first purchase, and then if it doesn’t work out, return them. But, if it does work out, you will be set to fight cravings and lose weight faster than if you were just trying to do it on your own with willpower. Click here to visit the official website for more details.